It’s no secret that the world of online video has made it easier than ever to revive retro moments from days gone by. Google has revealed the top five YouTube ads in Hong Kong during the second quarter of this year, selected by popularity (organic views) and promotion (paid views). 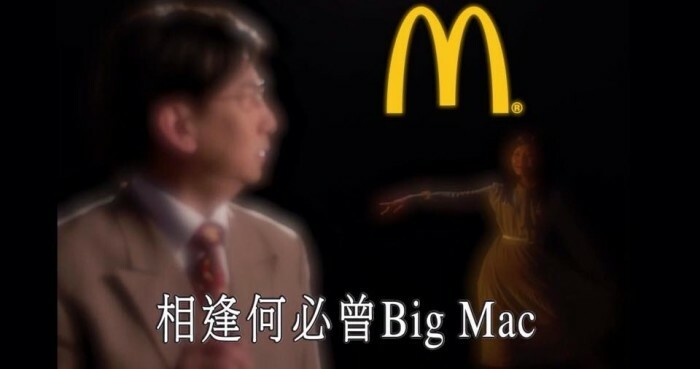 Topping one million views, 相逢何必曾Big Mac (When you come across a Big Mac) takes the top spot by spoofing a classic Hong Kong song, showing Ram Chiang crooning away about the joys of eating a Big Mac, in a classic 90s karaoke music video. The raw-looking and old-style ad takes viewers back to the good old days when music, art and culture were at an all-time high and singing karaoke was an integral part of Hongkongers’ lives, making this ad a huge success. More importantly, it proves that simple nostalgic references are not enough; brands not afraid to go the whole nine retro yards will reap the rewards. And it’s not just fast food that’s reviving retro to keep people from pressing the skip button. PARKnSHOP came a close second with 2015 百佳 食得鮮 買得抵 廣告 (2015 PARKnSHOP ‘Eat Fresh, Buy Smart’), which uses the loveable McDull to stir up feelings of nostalgia for traditional family values. Family is an important part of Chinese culture and is a social value that ‘connects’ all Hongkongers. Starring in the ‘Eat Fresh, Buy Smart’ campaign, McDull shows off a son’s love for his mother, while subtly pushing how PARKnSHOP can be part of everyone’s life in Hong Kong. Nestlé rekindles the love for uber nostalgic Drumsticks by pairing up with famous local YouTube channel Bomba in 不同種類的甜筒廣告 (Drumstick galore). Nestlé shrewdly ‘creates’ affinity by pairing nostalgia for classic Hong Kong films with nostalgia for a classic dessert, and Drumsticks are used as props. This double-whammy strategy is winning over both the younger generations and tickling a few feathers among the kids that grew up on them. What better way to tackle a difficult subject like financial planning than to use two stars (Gregory Wong and Catherine Chau) to dazzle audiences? AIA’s 《老是不一樣》不日上映 (Plan ahead or plan to fail) uses celebrity power to make financial planning cool again, earning it this quarter’s fourth spot. A couple reminisce on their life choices, one with financial planning and one without. With realistic scenarios that make viewers sigh and smile, plus a creative tagline, AIA came out on top this quarter. Just as local star power, paired with comedy, can help push a brand, Nestlé once again harnessed the Korean pop culture craze in Lee Kwang Soo FRUTIPS Exam TVC, and had people rolling on the floor laughing in an over-the-top video about how candy is simply lots of fun. With the marketing and advertising landscape turned on its head, brands need to create commercials so good that audiences choose to watch them, especially in an age of information overload. To make winning YouTube video ads, brands need to act like creators, and must curate, create and collaborate. Be relevant, be local as audiences increasingly want content that they can relate to. It’s key for brands to work with local YouTubers, and create locally relevant marketing and branding campaigns to reach their target audiences. Entertain first, sell later for an ad to be successful. Brands should first entertain and inform, and lastly sell. Quality content with strong storylines that go beyond the normal 30-second TVC is trending. Keep mobile in mind as billions of mobile users will soon come online and many of them will be from Asia. In order to effectively and successfully reach audiences, brands must create content that these ‘new audiences’ want to watch, via mobile, and create ads which are just as popular as original ‘must-see’ content. Vietnam - Novotel, InterContinental Groups and Canon - these are just a few of the brands out of so many who have recently been fo.. The Awards acknowledge the year’s most outstanding communications initiatives and campaigns in the highly competitive and dynamic ..